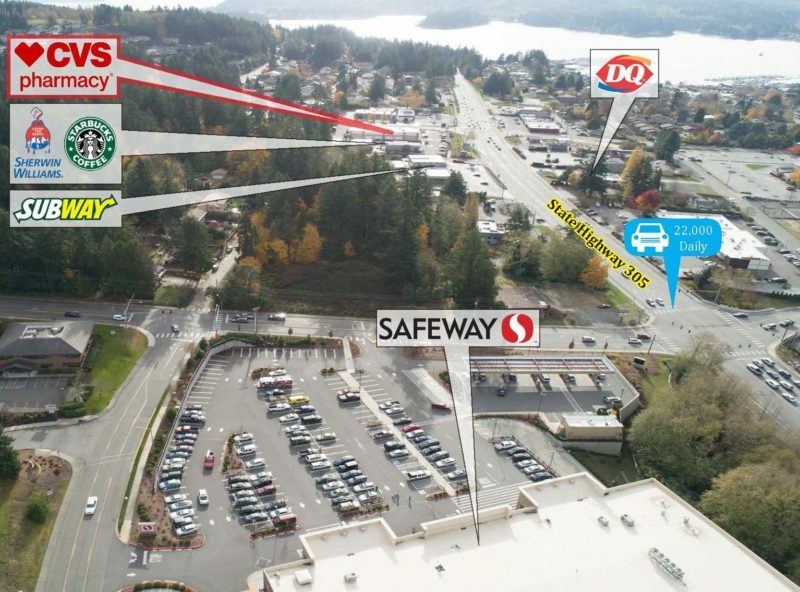 Marcus & Millichap is pleased to present the opportunity to acquire a CVS located in Poulsbo, WA (Seattle MSA). CVS offers a triple net (NNN) lease with 22 years remaining on the base term and ten, five-year renewal options with fair market rent in final 8 renewal periods. The subject property consists of a 14,500-square foot free-standing building, situated on a 1.29-acre parcel. 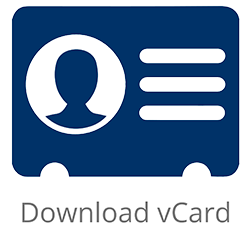 CVS Health Corporation (NYSE: CVS) is currently the largest pharmacy chain in the United States with over 9,900+ locations and revenue of approximately $185 Billion. In 2016, it ranked as the 7th largest U.S. Corporation according to Fortune 500. 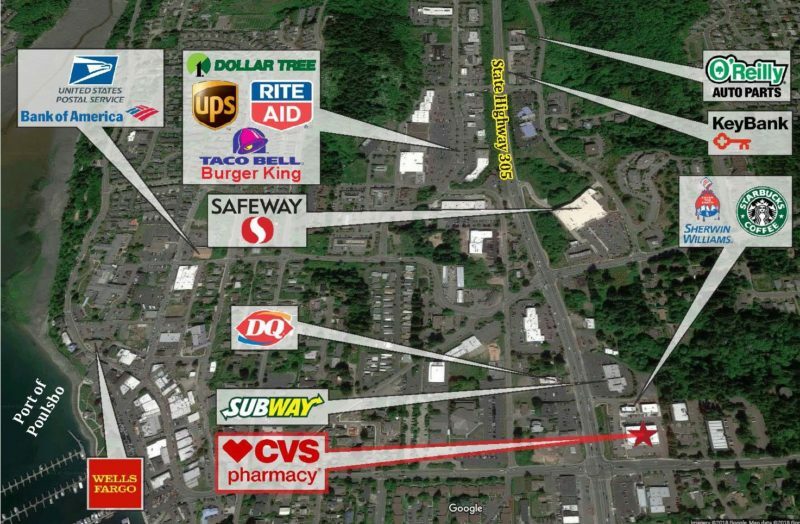 Surrounding national retailers in the area include Safeway, Dollar Tree, Sherwin Williams, Taco Bell, Burger King and many more. Located in the Seattle-Tacoma MSA, which has a population of 3.8 million and is just 20 miles outside Seattle.